One of my best memories is the first time I felt my son’s cheek against mine right after he was born. I can remember being amazed by how incredibly soft his skin was. Baby skin is highly abundant in collagen so it has that soft, supple feel to it. We naturally lose it as we age, but I am going to give you some insight on how to start using collagen supplements to age gracefully. This post will specifically be referring to collagen peptides as they are much easily absorbed by the body. Collagen is the main structural protein in skin and other connective tissues making up about 30% of proteins in the body and 70% in our skin. Think of it as the glue that holds your body together. It provides elasticity to the skin giving it that supple look and feel. Elasticity is needed for better movement and stretching without injury. It helps with the structural components of our hair, skin, nails, bones, muscles, joints and tendons. As we age, our bodies begin to produce less collagen. Skin begins to loosen and those fine lines and wrinkles settle in. This is not a bad thing, just a natural part of aging but it does have consequences in women’s health. Other results of collagen loss include a decrease in bone density, loss of hair color and joint inflammation. After that quick explanation, do you see how it can benefit women in so many awesome ways? A more youthful physical appearance is great, but it’s not what I want you to focus on here. 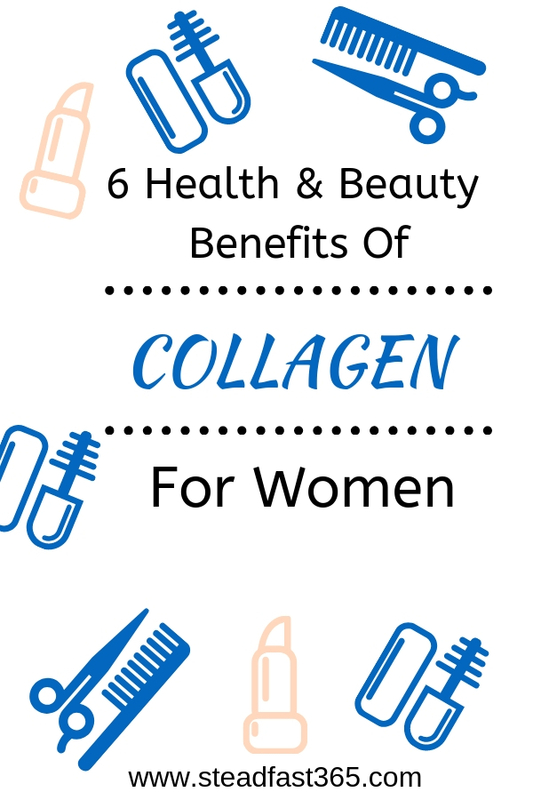 Collagen supplementation is a natural way to fight the internal health decline in women. It’s not always about looking better, but feeling better and increasing your ability to do everyday physical activity without hurting. If there was a natural way to encourage flexibility, improve joint health and skin elasticity just by feeding your muscles the protein it needs would you try it? I encourage you to add collagen boosting foods to your daily nutrition. This is a great start, but research shows that the body does not absorb all the collagen it needs from foods alone. I started a collagen peptide protein supplement during my postpartum journey. As with any new mom, I did a lot of research before trying it and was happy with what I found. My goal is to age gracefully. If this is your goal too then keep reading and let’s do this together. I always put you first, so take a look at a few disclaimers and let’s get back to the juicy stuff. If you’re nursing or pregnant please consult your physician. Although I am a Pharmacist, I am not your pharmacist (I know super sad). Speak with your pharmacist and/or physician for a treatment plan. Read the labels of supplements to avoid anything you may be allergic to. Affiliate disclaimer : this post contains affiliate links which means that if you make a purchase I receive a small commission at no charge to you. Whew, now back to the juicy goodness as promised! Vital Proteins states per their site that their Collagen Peptides and all Vital Proteins products made from peptides (essentially, everything besides their Cartilage Collagen) are primarily comprised of Type I collagen. Vital Proteins states per their site that their Cartilage Collagen is made from bovine tracheal cartilage and is perfect for those focused on cartilage and joints. Vital Proteins states per their site that their Collagen Peptides and Marine Collagen, as well as the entire range of Vital Proteins products, will be great for hair, skin, nails, bones, joints, cartilage and ligaments. Every woman is different. 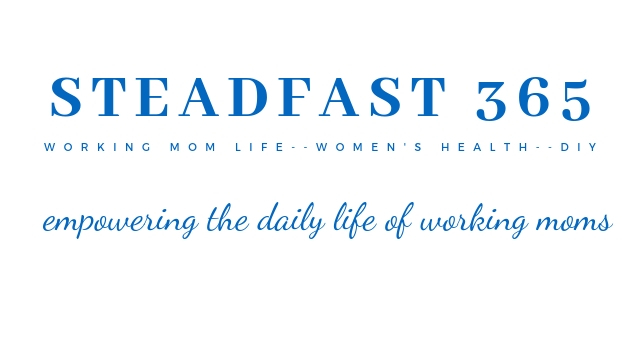 I started researching collagen during my postpartum journey. Like other new moms, I had postpartum hair loss with shedding, loose skin on my belly and decreased muscle tone. The common thread, other than postpartum hormones and process, was collagen. A lack of collagen didn’t cause these issues, but addition of collagen into my daily routine could surely help my healing process and help prevent a worsening of the issues. Smoothies are my jam. It was so simple to just add some collagen peptide protein powder to my breakfast smoothie and keep it moving. I looked into quite a few collagen peptide powder options and decided on Vital Proteins. Breastfeeding was in full swing at the time, so I wanted something dairy free and gluten free just in case my gassy baby had any issues. I also needed something free from dyes, sugar, sweeteners and preservatives. Vital Proteins Collagen Peptides met all those needs and I’ve been taking it ever since. After a few months of daily use, most days twice per day, I started really noticing benefits. My postpartum hormones were leveling out and I started back working out full time. My workouts felt more efficient and my hairline was starting to fill in very nicely. I was still taking the prenatal vitamins since I was breastfeeding, and those can make your nails long and strong so I cant honestly attest to the nail results from personal experience. I will leave that to the studies I’m going to show you below. My focus was gaining lean muscle and nourishing my hair after postpartum shedding and I was beyond satisfied with my results. A bonus was with the loose skin on my belly. Although it went back to a normal state in its own time, I didn’t get wrinkles or stretch marks. The skin overall felt more supple than before I was pregnant. That’s right mama, I said before I got pregnant. I still have a normal level of loose skin like other moms, but I plan to continue the collagen peptide supplements to give it that extra firming supple boost as it tightens up gradually. Hormones are the culprit for postpartum hair loss which is normal. Once the hormones settled, my hair still needed some TLC. It was difficult to keep moisturized and I kept split ends. How about you? Collagen can help from the inside out. If going this route you want to ingest it to reap the benefits. Since the scalp is skin, the theory is that it can work by providing nourishment to the scalp and strengthen hair from there. Another hair theory is that collagen can slow the graying process by working against the free radicals that cause hair to lose its color. Benefits in skin are noticed due to the elasticity and moisture retention effects of collagen. We know by now that this is lost as we age, but more studies are gaining traction on showing how collagen supplements can remedy this issue. So long weak nails. What natural remedy comes to mind when you think of fingernails? Most people think directly of biotin for hair and nails. While that is true, biotin is my go to vitamin and collagen is my go to protein supplement. Keep reading to see how collagen has shown to improve the strength of weak and brittle nails. This study showed that daily oral consumption of collagen peptide supplements increased nail growth and improved brittle nails with a notable decrease in the frequency of broken nails. Bone mineral density (BMD) reflects the strength of our bones shown by calcium and mineral content. The more you have the better indicating strong, dense bones that are less likely to break. BMD is used in tests to determine if you have osteoporosis. Osteoporosis is more common among women with increasing chances as we age. One study found that supplementation with Type I collagen had favorable results for bone markers in postmenopausal women. The study showed that the intake of collagen peptides increased bone mineral density in postmenopausal women with primary, age-related reduction of bone mineral density. What’s more, the collagen supplementation was associated with increased bone formation and reduced bone degradation. Like I said, I want to age gracefully. I enjoy collagen supplements now and plan to continue for reasons just like this. I don’t know about you, but I lost my J-Lo booty after having my baby! Your girl was on a mission to get it back lol. I noticed decreased muscle tone in my thighs as well. Collagen helped me to fuel and recover from my workouts. I used it as part of my workout regimen to feed my muscles and gradually get my lean muscle tone. Creatine is essential for the growth of new muscles. It’s good to know that collagen encourages the production of creatine in your body. Women are more likely to develop osteoarthritis than men. You now know that type II collagen can help with cartilage and joints. This study performed research on using collagen peptides in people with osteoarthritis. They found collagen peptides to be a potential nutritional supplement to help treat the management of osteoarthritis and maintenance of joint health. Side effects are very rare and may include fullness, a bad taste in the mouth and heartburn. I didn’t experience the latter two, but I did get a feeling of fullness which was fine with me. Like I said, I created awesome smoothies with enough calories as a small meal which helped me lose the baby weight. My thought process was to try it and see what happens since the side effect profile is so rare. What did I have to lose? Nothing really, just an extra boost of protein which I needed anyway. No beating around the bush here. The honest answer is that it depends on the person. Some people see results within a few weeks and some will in months. Either way, the point is to age gracefully and create a lifestyle change. Your body is making less collagen every day, so why not supplement continuously for optimal results? That’s how I see it; as an investment in my health. How can you sneak some collagen powder into your day? Smoothie, coffee, oatmeal, water? I even made collagen, banana and egg pancakes. YUM-O! It’s literally just 2 scoops of the collagen powder, banana and egg. Use bananas that are on the firmer side. The ripe, mushy ones tend to not have the fluffy pancake texture. Mix it up in a blender and flip it in the pan. BOOM! Let me know what you want to try and which women’s health issues I listed hit home the most for you.